Simon Eady is an agent with MI-6. He will be soon, at least. When we initially meet him in the first recorded adventure, he is a gangling young man of 16 whose sudden growth spurt has left him a tad awkward in the height department though, luckily, not so in the general physical fitness area, he was more than adequate. This is good since living in Malaysia for the past two years with his single-parent mom, being "the only fair skinned, blue-eyed, blonde teenager who was not a tourist", Eady would often find himself the "target of school bullies and local gangs". As described, "Over the past 5 years, despite moving through 3 schools in just as many countries, Simon had become a fit athlete who was unbeaten in all of his sporting pursuits. He was the fastest teenager at school, remained undefeated in all swimming events, was the pride of the current gymnastics coach, had earned a reputation as a fierce fighter in his Jujitsu sparring sessions, and he wore the coveted number 9 for his local football team. Academically, Simon was at the top of his class in most subjects including Malay. In fact, despite the subtle foreign accent and often misquoting local colloquialisms, his language teachers continued to be astonished at how quickly Simon had learned to correctly speak Malay and Cantonese. Simon had loved foreign languages from the first day he was introduced to Italian at a primary school in Australia." All these abilities will prove to be extremely important and useful in the immediate future when Eady learns two hard and life-altering facts. First, his mother is rapidly dying from cancer and second, his long-dead father is still alive and deeply involved in the world of cloaks and daggers. To help his Mum see her husband one last time, Eady will have to do things and fight obstacles and survive dangers he could not have imagined merely days before they came at him. Learning that his single-parent mom was suffering from terminal cancer was a huge blow for 16-year-old Simon Eady. Then hearing from her that his long-dead father was really alive was another stunner. When his dying mom's last wish was to see her husband again, Eady strange life was about to get even stranger and he will move from high school to the shadowy world of espionage and really bad people. Still wanting to find his missing father, Simon Eady, now part of MI-6's teenage spy division, is placed in Europe and faced with some incredibly dangerous missions. 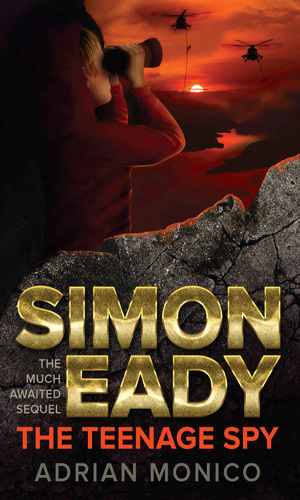 The Simon Eady tales are the kind of young adult stories I would have loved to have read back in the day. I know that because I enjoyed them a bunch nowadays and while I am a whole lot of years past young adult stage, I gleefully remain young at heart. 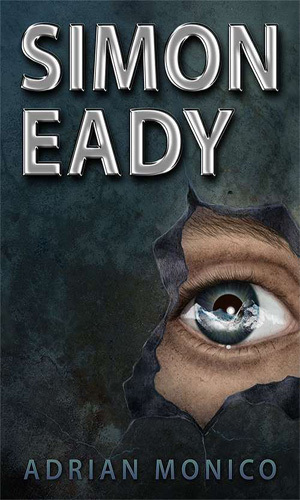 Eady is a very enjoyable protagonist who is thrown into an impossible situation and who manages to get himself out of trouble not because he is some awesome spy but because he is so darned determined and stubborn. Like I was (not!) when I was his age.